Today is the first day of Autumn and it is a cool 94 degrees here in Texas. The concept of seasons alludes me but I can play along if it means the return of Starbucks Pumpkin Spice Latte though I have to wear shorts to help cool down from this pipping hot drink. Pinterest is swarming with diy recipes on this iconic Fall treat but I am certain I will ruin it beyond measure and will be off it forever and I simply cannot afford that. The thing is this is something that I look forward to. The anticipation of waiting for its release, looking forward to the day I get to go, and then actually having this delicious treat. It's a whole experience and yes it did make it to my monthly Life List. This year was the first time trying it as a frap as per Husbands suggestions (smart man that he is) and it was ALL the good things. Craving satisfied. Now if I can do something about my need to own ALL the Starbucks drinkware... On my radar this, this, and this. Along with my ongoing Life List is really focusing on the little things. Of course my #PSL was one of them. 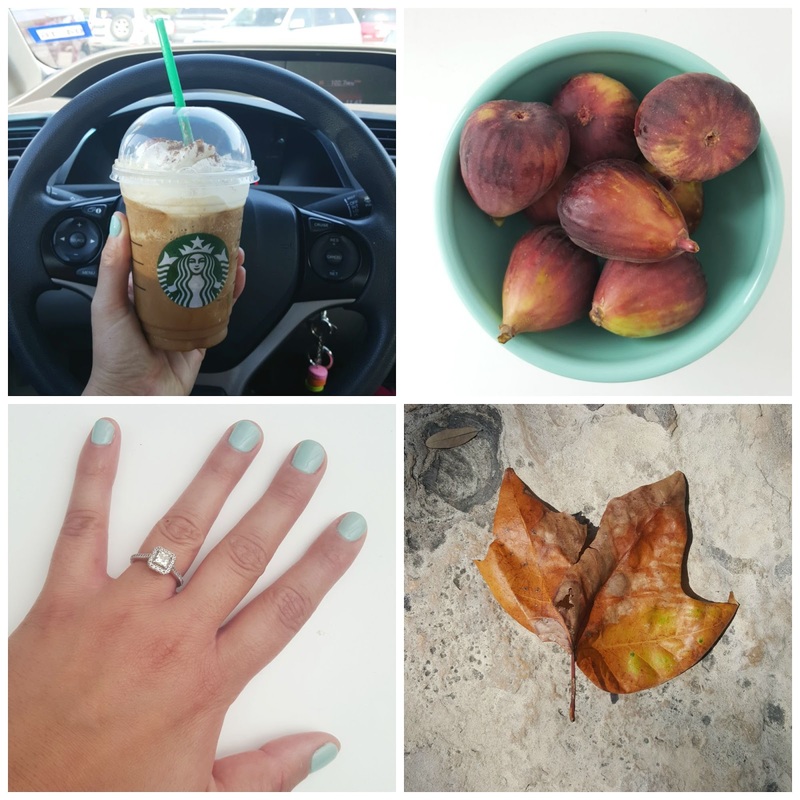 But so were the last figs of the season, a fresh mint mani, and (gasp!) a turning leaf. What is making you smile these days?